MarketRiver, LLC (MarketRiver) is a Business-to-Business (B2B), Business-to-Consumer (B2C) and Business-to-Government (B2G) marketing and business development company. We are a Virginia limited liability company, located in Alexandria, Virgina, a suburb of Washington, DC. 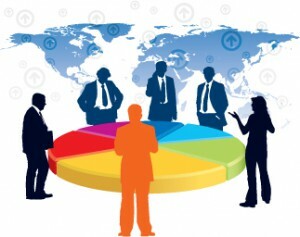 We will work hand-in-hand with you in order to craft an approach which can help to maximize business results. MarketRiver can assist companies to introduce and market their goods in the North American market. We can also provide a broad range of related marketing services to support your business development efforts. Formed in 2004, MarketRiver brings to bear decades of experience in marketing, sales and business development, market research and analysis, branding and communications, international trade and import-export operations for the benefit of our clients. This experience spans a broad range of industries and countries around the world. We are able to draw upon an extensive cadre of highly qualified professionals who can work in a wide range of foreign languages to help achieve success for our clients. In addition, we have working relationships with other companies, which enables us to draw upon additional resources, as needed. Experienced in both domestic and foreign business operations.